The Romulo Peace Center offers classes in breathwork, yoga, and tension-release exercise. The Center is also available to rent for gatherings related to yoga and other contemplative practices. Learn a set of simple exercises designed to assist the body in restoring a deep sense of calm and inner peace. Saturday afternoon, 4pm, June 2. Proceeds will go toward buying back-to-school items for the kids of Marawi. The two-part course in exploring the internal breath (for yoga and meditation practitioners; P2,500) begins on May 6. Save your spot soon! This might be the only time it's offered in 2018. Learn a set of simple exercises designed to assist the body in restoring a deep sense of calm and inner peace. Monday afternoon, 630pm, May 7. Proceeds will go toward buying back-to-school items for the kids of Marawi. This workshop with Joy Romualdez Kawpeng will delve into exercising a process of waking up in the body with an organizing principle that is efficient and easeful. Saturday, March 17. Click photo for details. Faith Punzalan sees clients at the Peace Center every Thursday. She's got an intuitive gift for healing on top of an insatiable appetite for learning. The healing modalities in her toolkit include Craniosacral Therapy, Lymphatic Drainage Therapy, Visceral Manipulation, and more. The First TRE Workshop of 2018! Learn a set of simple exercises designed to assist the body in restoring a deep sense of calm and inner peace. Saturday afternoon, 4pm, January 20. Fee is "by donation." Join us for sound therapy that targets stress on Sunday, December 3, from 2 to 6pm—a workshop facilitated by Yeyette San Luis. Register here now! The Romulo Peace Center is a gathering place for contemplative practices such as yoga and pranayama—and a healing modality called TRE. General Romulo, for whom it was named, was one of the Philippines’ most dinstinguished public servants and international thinkers. Raised among extended family in her grandfather’s household, Liana grew up thinking of the world as a small place made up of interdependent nations, each one needing to do its share—not just of effort but also of yielding. A longtime practitioner of yoga, she feels the urgent necessity of shifting to more sustainable ways of tenanting the planet, citing climate change and disasters like Yolanda. She promotes a shift toward “world communal living,” a term her grandfather used in 1945, at the founding of the United Nations, in a speech that elicited the only ovation at the nine-week conference. About once a month the Center brings together volunteers trained to treat mass trauma resulting from natural calamities like the typhoons Ruby and Yolanda, and the Bohol earthquake. The objective of the gatherings is always two-pronged. First, the volunteers attend to their own needs, their own healing; afterward, they focus on extending help to others. 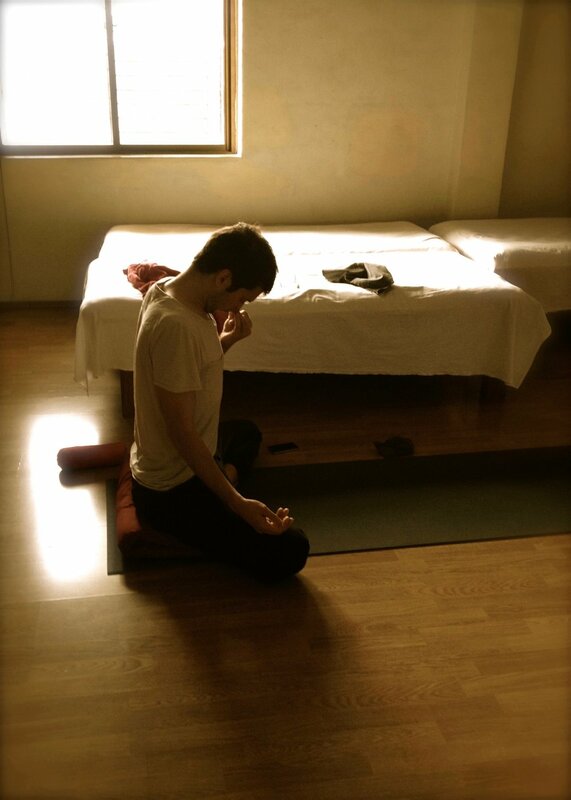 In addition to simple yoga and breathing exercises, the volunteers practice a body-based technique called TRE, or tension, stress, and trauma releasing exercise. One of the Peace Center’s objectives is to train significantly more volunteers in TRE in order to provide substantial psycho-emotional support to areas of the Philippines (e.g., Tacloban) hardest hit by natural calamities. We are grateful to Ramon Ang of the San Miguel Corporation for a generous donation that made it possible to build the Romulo Peace Center. We welcome other like-minded groups to come and visit. If you’d like to rent the Peace Center, which is bright, fresh, spacious, and perfect for yoga events, please text 0921 315 2644 or email yoga@romulopeacecenter.org. The Peace Center donates 100% of its rental fees to the Romulo Foundation, which has undertaken a long-term project dedicated to building a more climate-resilient Philippines. All pranayama sessions (except Guided Open Classes) are limited to a maximum of 10 participants. This workshop focuses mainly on watching and savoring the breath, soothing the nervous system, and entering the meditative space with ease. We discuss simple pranayama concepts and concentrate on grounding our energy. Total beginners with minimal (or no) yoga/meditation background feel relaxed and at home in this class. Those with more experience seek its calming, restorative effects. Please text 0921 315 2644 or send us an email if you’d like more information. This course is for those who’ve had an established (daily) pranayama practice for a minimum of four months. 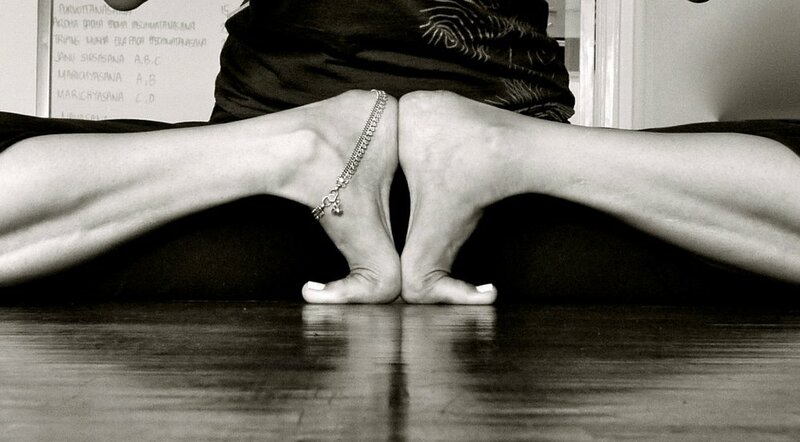 We’ll be learning breath retentions and how to channel prana through bandha and mudra. Guided Open Class meets from 1030 to 1140am on specific Wednesdays and Saturdays. Email us for details. Whether you’re coping with erratic moods, stress at work, or a mind that just won’t quit, this class allows you to let it all go for 75 minutes of relief and restoration. Breathing, finding stillness within, and softening into easy poses combine to restore balance to the system and induce deep relaxation. Those who suffer from chronic or acute stress can really benefit from these profoundly restorative sessions. When practiced with close attention to the internal forms of breathing, bandhas, and dristi, a teacher-assisted self-led approach to the practice can penetrate more deeply than one might have ever imagined. All levels are welcome. Tuesdays and Thursdays, 7 to 10am. Please email or text us the day before if you intend to come. This introduction to yoga is everything you’ll ever need to build a strong foundation for future, “more advanced” yoga classes. As regular pranayama practitioners, our teachers approach yoga postures from the inside out. Even stiff, inflexible people will feel welcome in these classes, which emphasize channeling prana through internal, meditative alignment. Experienced students wishing to refine their understanding of alignment, anatomy, and the internal aspects of a yoga practice will also glean insight from these classes. Mondays, 645 to 8pm, and Saturdays, 10 to 1115am.